If you’re an upcoming tech start up, you couldn’t ask for a better place to base your business than this flexible office space development close to the Old Street roundabout. The area is known as “Tech City” because it has the world’s third largest cluster of tech startups, making this part of Shoreditch an exciting place for a new tech company, or other out of the box business. As a nod back to the area’s industrial history, this development is set in a former textile factory. Inside, it is decorated in an industrial style, has large windows and cactus displays. 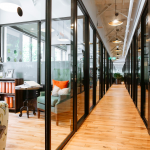 There are plenty of office space options to choose from, including serviced offices, semi-private offices, and coworking lounges, with focus booths and private phone booths. This means that you can choose the best work space type for your business, with the option to upgrade to a larger space, should your business and headcount expand in the future. There are also meeting rooms and virtual office services to hire on demand. There is also a screening room which is great for events. 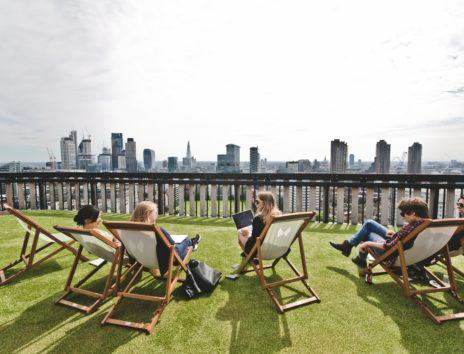 During breaks, or after hours, there’s plenty of facilities for your team to make use of, including breakout lounges, a roof terrace with a 150m rooftop running track and deck chairs and an onsite cafe. The building is on Old Street Yard, close to the Old Street roundabout, as well as a lot of the best restaurants and night clubs in Shoreditch. Old Street Station is also within easy reach. We’re not expecting this Old Street office spaces to be available for long. 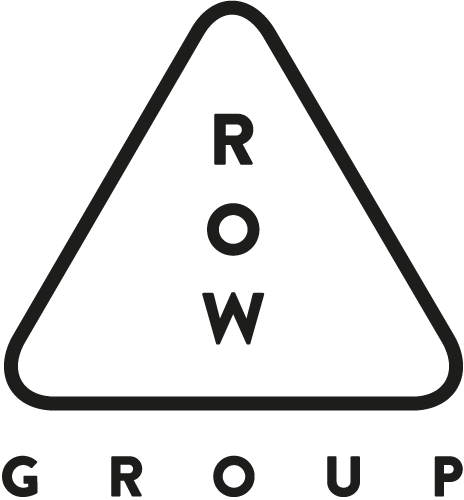 If you’re in need of a flexible serviced office space in Shoreditch, then please get in contact with us now to arrange a viewing. 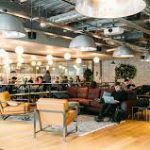 Mark Square – Unbelievably Good Value Shoreditch Offices! 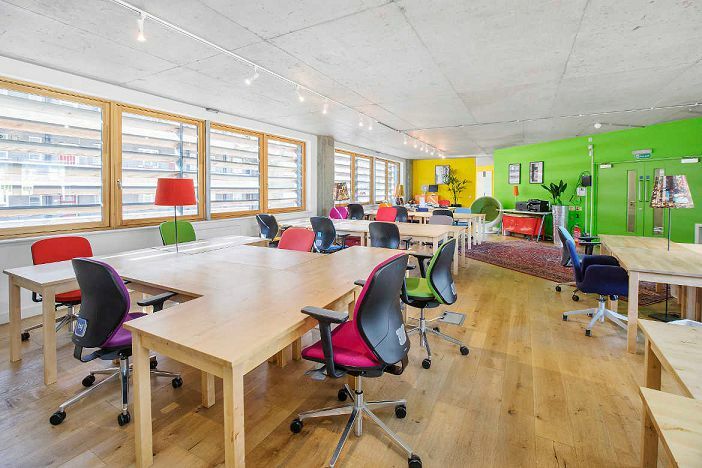 Mark Square is the ultimate of Shoreditch offices. A fantastic space that has an option for any type of business, no matter the size. 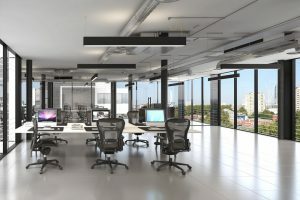 Ranging from 1-person private offices with co-working spaces to 120-person self-contained floors. Whatever your need, this office will have a solution. 4 – Person Offices – £2700 + VAT PCM. 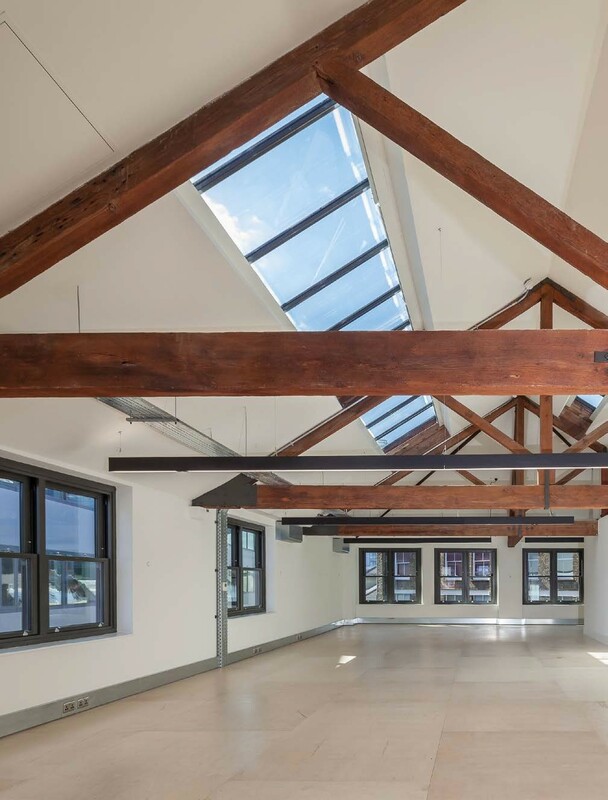 Mark Square is a charming and contemporary, modern brick building, with luxurious floor to ceiling windows allowing for plenty of natural light to reach the office. On arrival, guests are greeted with a beautiful, airy lobby. Perfect to wow any of your clients. 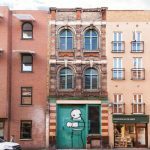 Shoreditch is world renowned for its food, drink and culture and this building is set right in the heart. Whether you’re one for dancing all night or simply going for a quiet after work drink, Shoreditch has a spot for you. Access to Shoreditch is surprisingly easy with excellent transport links through Old Street tube station, Shoreditch High Street over-ground and Liverpool Street tube station. There are plenty of nearby hotels, ranging in quality, so your clients have great options when staying over. And if you’re into your fitness then you’re in luck, Shoreditch has an extremely dense population of gyms, some are even 24-hour. Shoreditch offices are notorious for getting snapped up quickly, so Contact Us Today if you would like to see this building.To view availability of all our leasehold offices in Shoreditch and its surrounding areas please Click Here. Creative, innovative and community. These are just three of the words used to describe Huckletree Shoreditch. The gorgeous office space is wonderfully designed for comfort and is built to inspire any team. 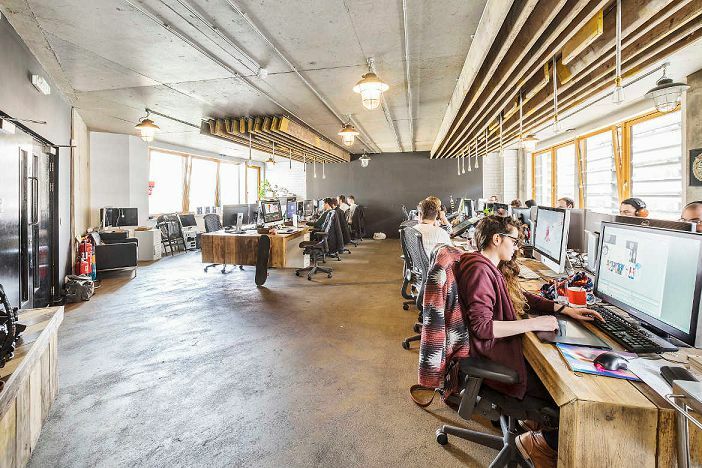 Located in the heart of hipster-town, Huckletree Shoreditch is a thriving creative hub, perfect for those on their entrepreneurial journey in technology, entertainment, digital and finance. The blend of sectors form a wonderful community of start-ups and make this a real home of innovation. 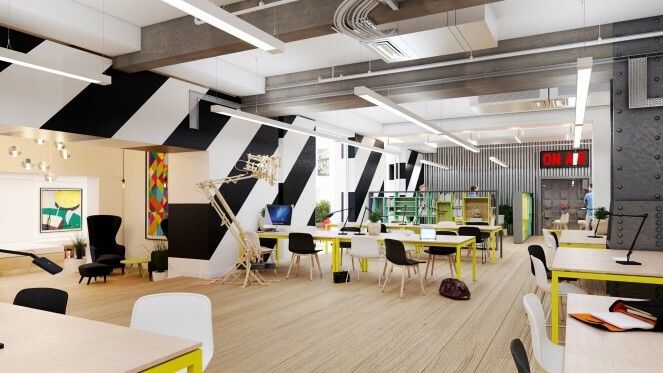 Huckletree Shoreditch is home to 300 individuals, a number of private office spaces (300sq2/410sq2), meeting rooms for those important decisions, breakout areas to get inspiration, phone booths for private calls and an event space (150 people max), useful for training and workshops. Does your team enjoy cycling to work? How about a game of basketball or squash or meditate at lunchtime? 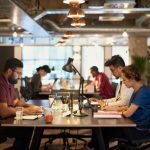 Huckletree Shoreditch’s creative hub enables your team to create a nice balance between work and play. 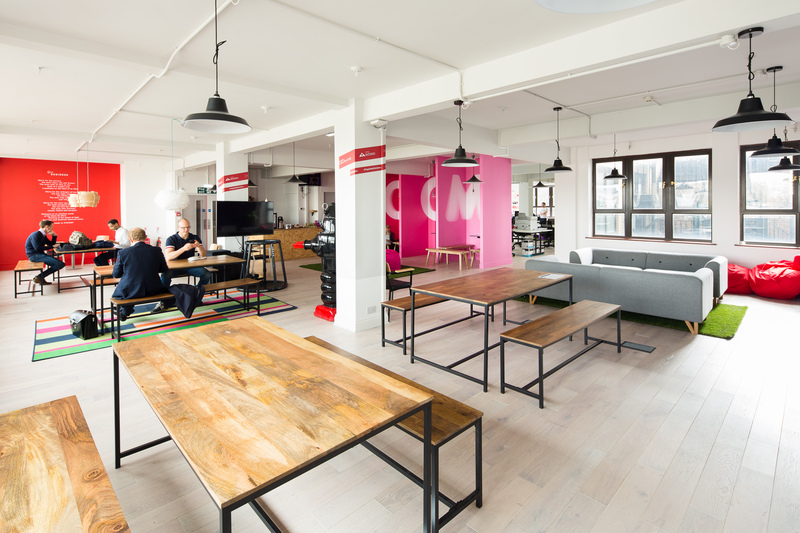 Huckletree have regular yoga classes and meditation rooms in the spacious offices and a basketball and squash courts. The facilities include a bike ramp for the cyclists, storage, showers, lockers and a supportive community team. Huckletree Shoreditch has excellent transport links and is close to several underground stations including Shoreditch high street, Liverpool Street, Old Street, and Moorgate with access to Northern, Overground, Hammersmith & City and Metropolitan Lines as well as other public transports. Being located in Shoreditch has many perks. One of which is the short walk to Whitecross Street food and Spitalfield markets. 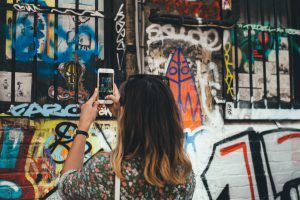 Shoreditch is home to some of London’s finest street foods, art, design and culture and is a beacon for those who love to explore and discover. The biorhythms of individuals differ, and the way we function daily is driven by a variety of factors. Yet for everyone, it goes without saying that a good diet and exercise is critical to our overall health. Maintaining a balanced lifestyle is a recipe for success, with health and wealth a perfect unity. Healthy, active employees take fewer sick days and bring more energy to the workplace, however it is the struggle of integrating regular exercise into a restrictive work environment that poses the ultimate challenge. Like trying to catch a butterfly, achieving the perfect balance can be impossible, but by making the right decisions, it could just land on your shoulder. When reflecting on your own office, what percentage of staff can you truly say has struck this harmonious chord? Who receives a heady rush of daily endorphins? Whilst it is a personal struggle it can be facilitated by the employer through various techniques; Providing shower facilities, promoting the cycle to work scheme, allowing employees to exercise throughout the day, all these practices allow the individual to take exercise into their own hands. This is a beneficial practice as employees return to work refreshed and focused, and after all, it is exercise that gives your imagination wings! When we exercise the body releases chemicals called endorphins, which interact with the receptors in our brain, and a recant study done at the University of British Columbia found that regular aerobic exercise boosts the area of the brain involved with memory. In addition to this exercise improves mood and sleep, and reduces anxiety and stress, which are all factors that contribute to cognitive impairment. The health benefits of an active lifestyle, from every perspective, lie bare before our eyes, with positive impacts on work, and mental health. From employee to employer everyone must take up the baton in encouraging this basic human need. Movement melts stress, and its time we all got a bit more comfortable with being uncomfortable. As Baz Luhrmann aptly said, ‘The race is long, and in the end, its only with yourself’. And enjoy your body, it’s the greatest instrument you’ll ever own. The temperatures are rising and the UK is threatening to show signs of summer, albeit intermingled with heavy rain and dense clouds. Whilst 12% of gym subscriptions are made in January, now is the time where panic strikes and the gym becomes crammed with those trying to rid themselves of that winter coat that should have gone by now, but has outstayed its welcome. 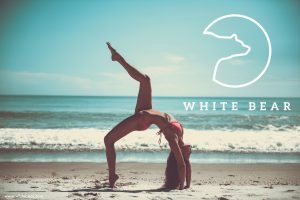 No doubt a ‘healthy lifestyle’ is a phenomenon that has reared its head in recent years, certainly a positive, but it seems that simplicity by way of approaching it has gone out the window, and like all trends, has been exploited. A simple diet and exercise is no longer the answer, but superfoods and substitutions are charging forwards, monopolising the snack market. Last year popcorns sector outperformed the entire market, and rose by 40%, with brand such as Walkers taking a hit of nearly 5% in relation to previous years. It is undeniable that we are all warriors of food faddism to some degree, and even the sanest of us are willing to pay £4 for a green juice from Pret-A-Manger in a hope it will ‘detoxify’ us on a Monday morning, after a heavier-than-intended weekend. Yet it seems that in London, a microcosm of the worlds cuisine, the diet fads have moved on from the Atkins pure protein hype and taken a turn for bizarre and obscure, a juxtaposition to the burger craze that has also taken London by storm, is there perhaps a link? Juicing certainly comes up top, with the laymen abusing their small morning orange juice and substituting a medley of juiced fruit and veg for their meals. Lo and behold they begin gaining weight due to the high sugar content, and a vicious cycle is created. Hippeas is an example of the obscure, a brand with a unifying slogan ‘Power to the PEAple’, they are a snack with a chickpea base, allegedly good for you, with all the buzzwords: Gluten Free, Organic and Vegan, and moreover supposedly ‘Good for the Earth’ (I might highlight that broccoli is also good for the Earth, and doesn’t require an excess of energy for packaging amongst other things). An example that enters into the bizarre is the Detox Tea fad, perpetuated by brands such as TeaTox and BooTea. These are essentially overpriced laxatives, with diuretic qualities due to the high level of caffeine which in turn causes dehydration and ensures the onset of side effects that are usually likened to a virus. 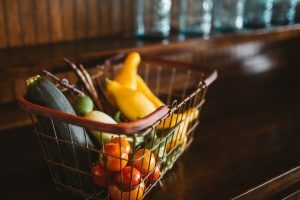 Whilst competition is key to a growing economy and healthy alternatives can only be a step in the right direction I would implore you to consider what you are buying. Trying to maintain a balanced diet? What happened to a good old banana to satisfy your afternoon slump? Whilst some foods can be healthy alternatives, the majority of these snacks are pumped with sugar and salt, and hiding behind a veil of gluten free and suitable for vegans. The myth that no one wants us to know is that the human body is perfectly capable of detoxing itself and does not require the burden of help. On occasions if you crave that unhealthy snack, just eat the mars bar, moderation is everything. Located north of Silicon Roundabout, Green Mews is a highly acclaimed gated development in the heart of the growing community of designers, creative studios and tech industries around Shoreditch and Hoxton. The office studios provide modern, energy efficient space amongst creative and tech occupiers, home to architects and design studios. High performance double glazed façade with e-coating and solar glass. 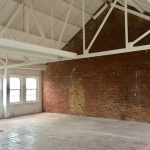 There is approximately 2,000 sq ft of space available in the ground floor studio and two 1,600 sq ft studios on the properties first and second floors. 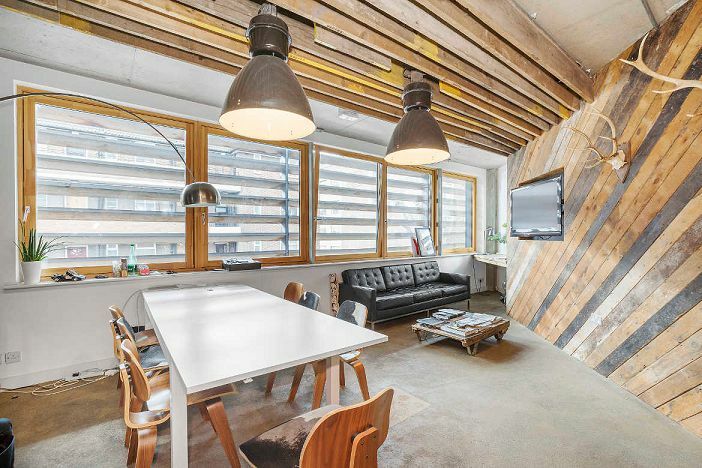 These cool offices are an excellent opportunity for any creative business looking for a base in the heart of Shoreditch’s vibrant community. If you are looking for office space in Shoreditch and would like to speak to a member of our team please contact us using the details provided below.